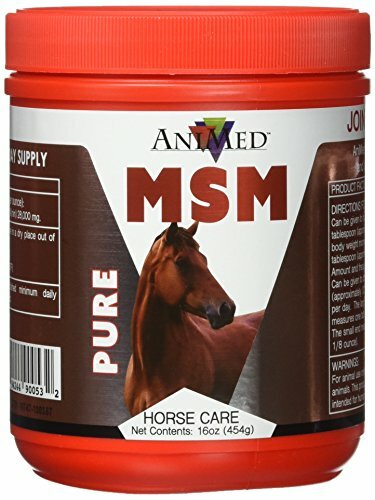 AniMed Pure MSM Powder is a 99.9-percent pure MethylSulfonylmethane (MSM) for dogs and horses. Improves joint mobility, assists in the formation of proteins and amino acids, connective tissue, hair, hide, hooves. MSM is rapidly establishing a reputation as a natural soluction for many types of pain and inflammation. MSM is a bio-available source of dietary sulfur to aid in the synthesis of collagen, which promotes joint, cartilage and skin health.